So I have begun my journey into a new healthier me! I decided I would try eat less calories to be honest I normally intake a lot a very lot more then what I should! Here is a few recipes I have tried and loved! Amazing delicious recipe 277 Calories per souffle, serves 4 people and preparation time is 10 minutes cooking time is 15 minutes a quick easy recipe. Remove the pan from the heat beat the egg yolks one at a time then stir in the goats cheese and season well. Another recipe I love however instead of Hazelnuts I have use almonds due to a family member having a peanut and hazelnut allergy. These are so delicious they are 348 calories per serving, This recipe serves 2 people and the preparation time is 5 minutes and also chilling time required. Repeat the layering, reserving a few of the nuts for decoration, Scatter the nuts over the top and chill until your ready to serve them. To many people assume to eat healthy either costs to much or is hard to prepare and cook. Fact it its actually really not that hard and as for price I personally don’t think it costs more but even if it did you can’t put a price on your health. What would work out to cost less money? Eating healthy or paying out loads in weight loss program’s, diabetes treatment, high cholesterol treatments etc. To many people say they don’t have a choice but you do let’s look at pricing for a second. Frozen meal which is the stores value products. So total would be £2.75 average for the cheapest every day value products for one meal family of 4 on the basis dad has 3 chicken burgers cause of how small they are mum has 2 and kids have 1 and a half each. Now let’s say you buy the more expensive branded products around £2 for 4 breaded burgers x2 chips £2 beans 75p total around £7.75 average. 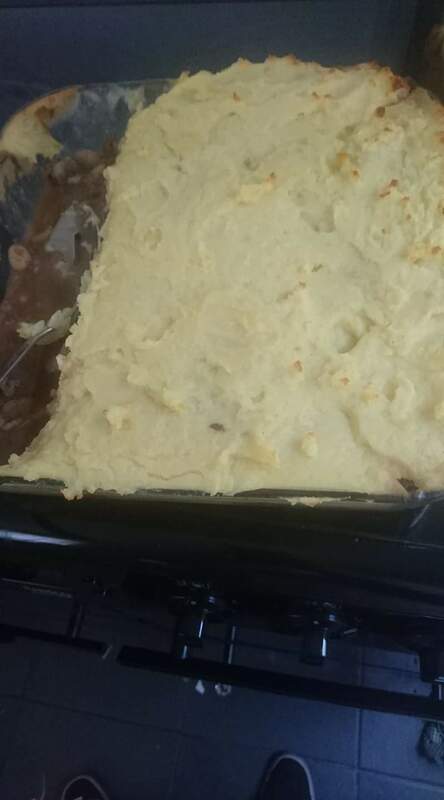 Now let’s look at say shepherds pie. This can be stored in freezer or fridge a well and used again after because it makes such a large portion. That makes let’s say average £7 yes £7 for a shepherds pie that fed us 7 plus had left over for us all the next day! So you see even with the £2.75 cheap value products that would be £5.50 average for 2 days of meals so for around £1.20 more you could have cooked a home made meal that would serve say a family of 4 around 3 times and our family of 7 twice! To many people look and see cheap prices on pre made frozen foods and think it’s an amazing deal. How about this look at the actual stats of some of these food. Lets look at one supermarkets cheap own brand breaded chicken burgers these stats are per burger! Now remember most people one of these burgers would not be enough a man would need on average 3 or 4 because of how thin and little poultry you actually get! So lets say you have two that is 24% of your GDA fat in them 2 burgers! Before adding on chips, beans etc. And of course along with this you also have the big issue of the energy etc is junk so not long after you need to eat again because your low on energy or hungry. That seem shocking? Lets look at a tin of baked beans seems a great deal yes like 30-40p average for a tin. 22% of your GDA salt! Oh that is half a can as well so if your thinking beans on toast and have a full can 44% of your salt intake has gone without adding the salt from your butter if you add it to your toast! Short cuts seem like a great idea you throw it in oven go back twenty minute later and remove it and its cooked no hassle but just what are you putting in to yours and your families body? I suggest you go now take out a typical meal that you cook that is frozen or pre-packed add you all the salt sugar content and see just how much you have left to eat that day after that one mean. To many people think that eating healthy or clean is hard work and stick to frozen food, takeaways and microwave meals. The truth is you can make a delicious meal from scratch quickly without the worry of what’s going in it. 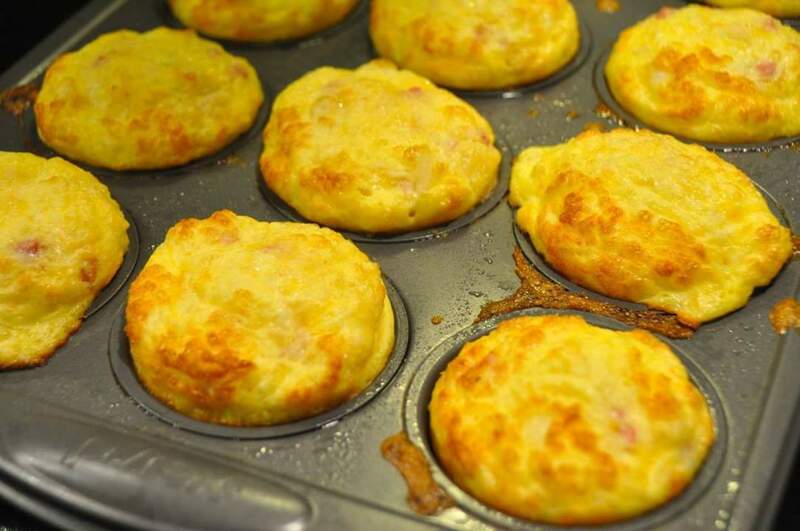 How about this easy to make and quick breakfast recipe even great for lunch. Now to prepare and cook. Preheat oven at 180c and spray 2 mini muffin tins (24 each) with none stick spray. Wisk eggs, milk, pepper and a pinch of salt (optional) in a bowl. Stir in ham cheese and parsley. Split the mixture between the muffin tins so they are almost to the top and place in the oven on a middle shelf for 8-10 minutes. Using a rubber spatula loosen the frittas from muffin tin and enjoy. Now for me exercise is so much more then just getting fit. Most Pele assume you only need to exercise to lose weight or to become fitter. For me it really is live changing let’s talk about why. So I suffer from a few things IBS OCD Depression and Anxiety. Now I know these illnesses will never leave me but I can ease them and make them more manageable. How?? With exercise yes that’s right exercise. 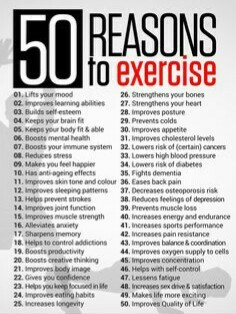 Now I’m not saying it’s just exercise that helps I do other things as well but I find exercise has really helped my illnesses. So let’s start with my mental illnesses. Depression anxiety and OCD exercise helps so much it makes me feel energetic. It helps keep me active and wanting to move. The biggest issue such depression is you get up and don’t get active and you stay like that for most of the day achieving nothing leaving you feeling down. For my IBS it helps so much so would have thought something like exercise would help it certainly didn’t cure it but it helps. Im not saying do an hour work out every morning a quick 5 minute routine would be just as good.